After the seeds are planted and the ideas are crystal clear, the roots are coming out and the founders establish the seeds in a more valuable way. We are the roots. We spread 'Inter'Nationally, roots find always their way to grow. 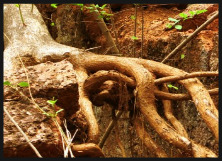 In Nature roots are important for improving plant health and vigor. In the garden of our hearts. Bringing Love & Joy to our hearts. My parents, both being psychically sensitive, loved Nature and brought me , at very young age, in contact with it by being in Nature, touching it, smelling it, feeling it, tasting it, seeing it, hearing it and connecting with the energy of Nature. Living in Nature in many countries and working with and in Nature in even more countries, I experienced Nature as the source of food and health, for humans, animals, plants & trees; I discovered that Nature also means Self-Healing, listening , stillness, beauty and meditation. I was trained in many sports in the Dalton Education System, which made me a lifelong sportsman. The connection between Nature, sports & People became the Key of my Life. I introduced many People to that key, and it helped them survive and develop to beautiful human beings, based upon Love, Light, Mutual Understanding & Respect. Yoga, Tao, Crystals & Reiki increased my energy levels & insight. Initially, I came to Malta to help somebody. Learning to love the Maltese People & Culture, I started to help & coach People either in healing or guiding them to a better or more active Life. I met other People, doing the same and sharing the initiative of cooperation for the betterment of the Maltese People and in particular of the children. In 2012, we used already existing contacts to set up an international research network, to be able to communicate & exchange (independent) research on many subjects, but in particular on food, pesticides, GMO, (side effects of) medications, herbs, plants, crystals, light, homeopathy, Traditional Chinese Medicine, Ayurvedic medicine, experiences abroad. We also built up a database with the prices of (healthy) food ingredients in Malta. We tested out foreign providers of healthy food , shipping prices and qualities. Research and requests of People, brought us the possibility of purchasing (healthy) ingredients together, bringing good quality for lower prices to Malta. I described my investment in The Rhythm Of Nature. The team in the Operational Center is able to help the Maltese People and visitors to Malta to help them acknowledge their power of Self-Healing and guiding them to a better , healthy & active Lifestyle, following a healthy food pattern. The positive support of restaurants, schools, hotels, Chefs etc., also is needed to help the Maltese People and visitors to find the path to go.